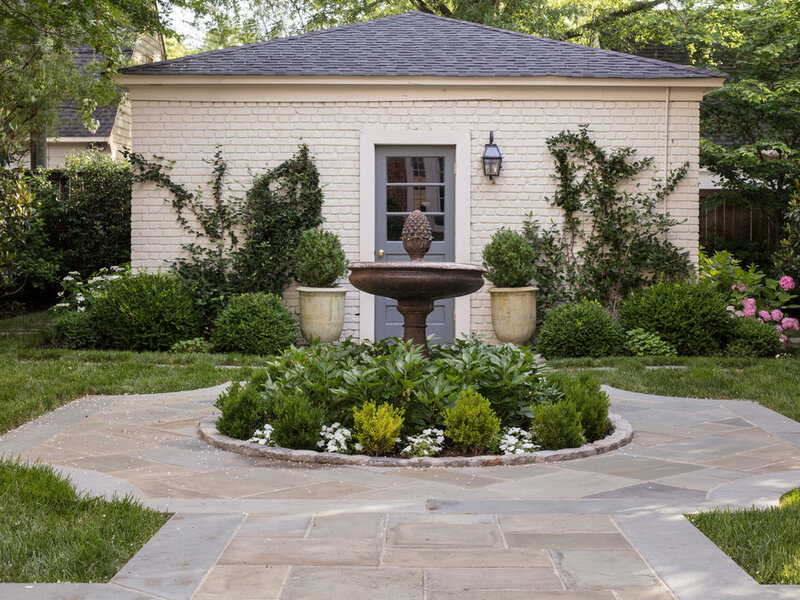 Marcia Fryer Landscape Design features “before and after” landscaping projects, small homes and large estates, published works and thoughts on timeless landscaping trends and outdoor home entertaining. For landscape designer Marcia Fryer, each new home she's moved into features a fresh outdoor pallet for her to curate and flex her landscape design muscles. Her current Near West End home was no different. Through hardscape design, she extended the home's living area outside for reading newspapers in the early morning and cocktail entertaining in the evening. 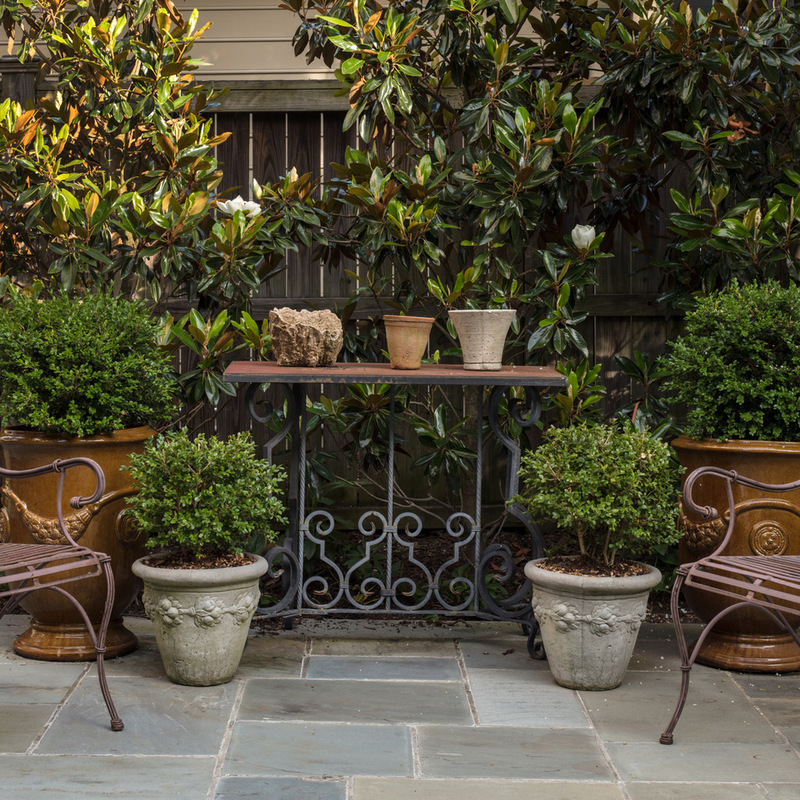 Creating balance through symmetry, the native plantings of boxwoods and crepe myrtle trees are featured in pots, as well as planted borders and backgrounds. The fountain adds height and dimension in the small space between the home and free standing garage.